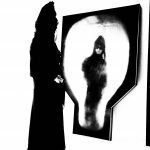 Always nice to be surprised and surprised we were when Saberi took us on a search to discover his paternal Persian roots. 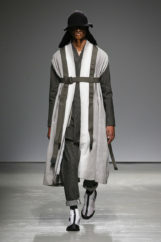 The serene collection was a re-invention of Mongolian armour using traditional hats, think Mongolian Dynasty. 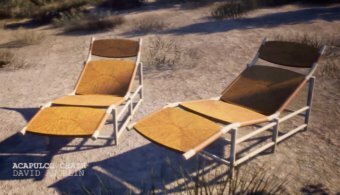 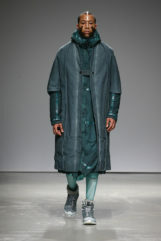 The new colourful palette was comprised of peppermint greens and patina blues developed from oxidisation experiments with copper. 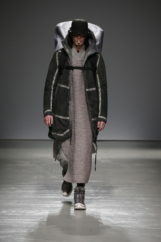 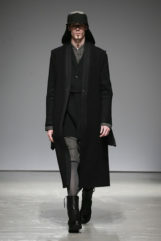 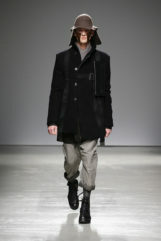 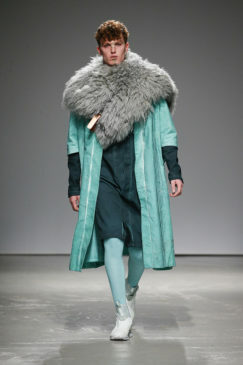 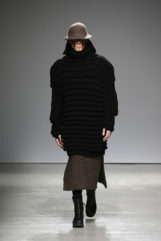 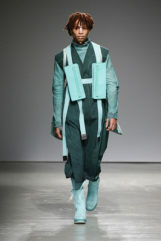 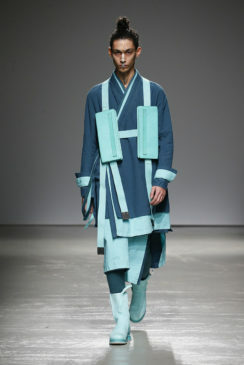 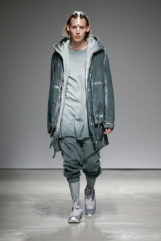 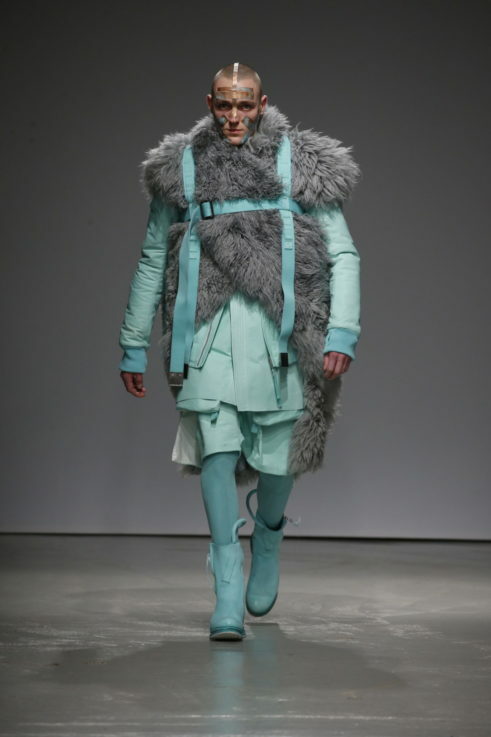 The volumes and layering was inspired by Mongolian shepherds. 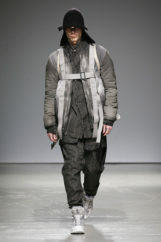 Footwear is a collaboration with french boot maker Salomon and Bidjan Saberi featuring a new GORE-TEX mountain boot. 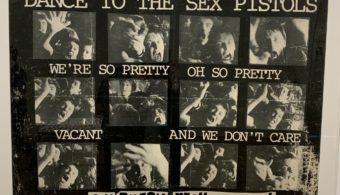 Altogether…it was a wonderfully poetic surprise.